These are hand made in pine oak or mahogany (Sepele). 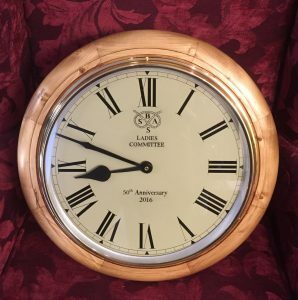 The overall diameter of the clock is approximately 15″, it is the size of the actual dial that is 12″. 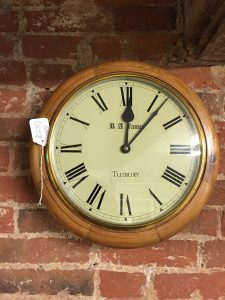 They can be made as a quartz clock with a Hermle battery movement or as a Hermle hourly striking movement or as a Hermle Westminster Chiming movement. 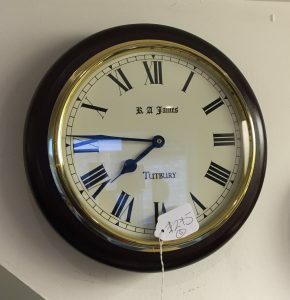 These clocks can be personalised and have your desired text on the dial.